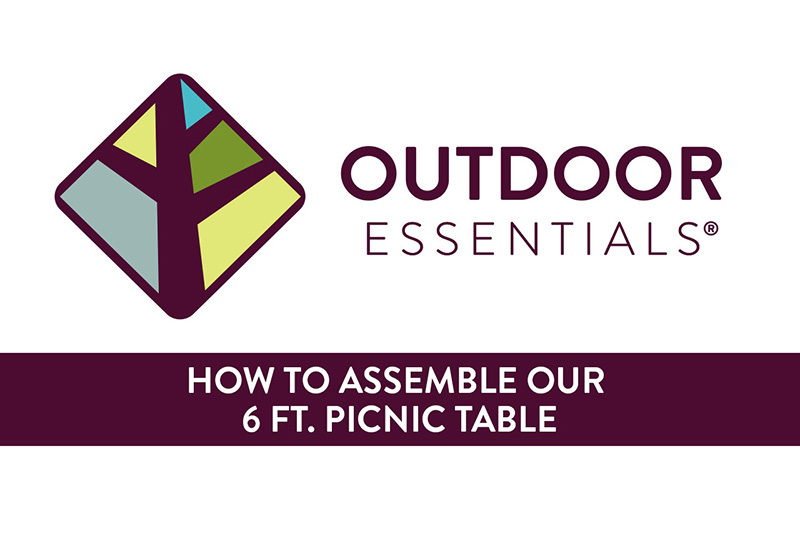 We walk through how to assemble our picnic table, including Pro tips to help you get the project done right. What are the assembled dimensions of the picnic tables? What is the weight limit on the children's picnic table? Weight is limited to two 75 lb. children per side (150 lb. maximum per side). Table top is limited to 40 lb. maximum. Sitting on table top is not recommended. How many people can fit on the adult picnic table? When assembled, the 6 ft. picnic tables seat six adults. The assembled 8 ft. picnic tables seat eight adults. What is the maintenance plan for the Red Balau picnic table? To maintain the beautiful appearance of this premium picnic table, we recommend sealing it with a finishing oil every year. What type of wood are the pressure-treated tables made of? The 6 ft. and 8 ft. pressure-treated picnic tables are made out of southern yellow pine. Do I need to paint or stain the pressure-treated picnic tables? At minimum, we recommend applying two coats of water repellant to the picnic table every two years. These picnic tables can also be painted and stained to create a desired look. Read more about maintaining your picnic table here. Do the picnic table kits include hardware? Yes, hardware is included in all picnic table kits.